A wide range of airborne substances can cause respiratory problems for asthma sufferers. These include bacteria and their components, which can trigger inflammations. How they become airborne has not been fully explained up to now. A science team from the Technical University of Munich (TUM) and the Helmholtz Zentrum München (HMGU) has shown that pollen from the mugwort plant is the main vector for bacteria and that this combination renders the pollen more aggressive. This, however, is not the case in certain Alpine regions such as Davos. Over a period of five years, the TUM team along with colleagues from CK-CARE (Christine Kühne – Center for Allergy Research and Education, Davos) took daily measurements of the air in Munich's inner city and in the Alpine surrounds of Davos. Their two-fold task involved analyzing the different kinds of airborne plant pollen and measuring the concentration of endotoxins in the air. These chemical compounds, which are found on the surface of bacteria, can trigger inflammations in some people. Endotoxins are also released when bacteria die and disintegrate into their component parts. When the scientists compared the pollen and bacterial constituents of the air in Munich with each other, they noticed a clear result: The volume of endotoxins in the air only ever increased if the pollen concentration of the mugwort plant also rose – regardless of climatic changes. Control measurements at the Alpine resort of Davos revealed significantly lower concentrations of pollen and endotoxins in the general air pollution. Even here, though, there was a clear correlation between mugwort pollen and the bacterial toxins. The two professors Claudia Traidl-Hoffmann and Jeroen Buters from TUM and HMGU oversaw the study. "We were able to demonstrate that the pollen acts as a 'taxi' for bacteria and thus also for their toxins. The pollen produced by mugwort, which is already aggressive enough, then becomes even more of a problem for allergy and asthma sufferers," they explain. Mugwort (Artemisia vulgaris) is widely distributed throughout Europe and can grow up to two meters of height. Its pollen has long been recognized as a trigger for hay fever. The team also studied the bacterial growth on mugwort plants to narrow down the endotoxin type on the pollen. They discovered just one species of bacteria as the main source of the endotoxins: Pseudomonas luteola, which was present on 95 percent of the plants. The research team was then able to confirm its findings with the help of a complex allergy model. 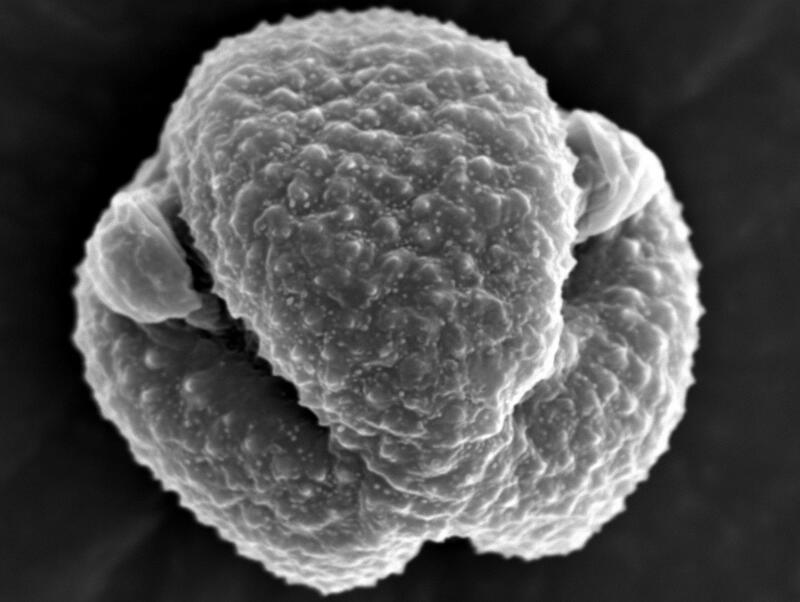 They demonstrated that mugwort pollen together with small amounts of endotoxins from the identified bacterium triggered strong signs of inflammation in the respiratory tract. The same severe effects were not observed with lower doses of the endotoxin or with the endotoxin respectively the pollen by themselves. "In the future, we will be able to indirectly use the pollen count to forecast very high levels of airborne endotoxin pollution. This will provide a useful warning for allergy and asthma sufferers," explains Jose Oteros, lead author of the study, which has been published in the "Journal of Allergy and Clinical Immunology". Professor Jeroen Buters is head of a research group at the Center of Allergy and Environment, ZAUM of TUM and Helmholtz Zentrum München. Professor Claudia Traidl-Hoffmann is director at the Chair and Institute of Environmental Medicine, UNIKA-T, and head physician at the Klinikum Augsburg. The study was funded by the Kühne Foundation (Christine Kühne – Center for Allergy Research & Education or CK-CARE project) and the AIRBIOTA-CM program (S2013/MAE-2874, Community of Madrid, Spain). J. Oteros was supported inter alia by the Postdoctoral Fellowship Program of Helmholtz Zentrum München.